Email providers save every email you send and receive on their servers. No encryption and no privacy. Mail 3.0 encrypts your email while keeping the convenience of your email provider. Now you own your email. It's Free. Simply download the Google Chrome Extension. 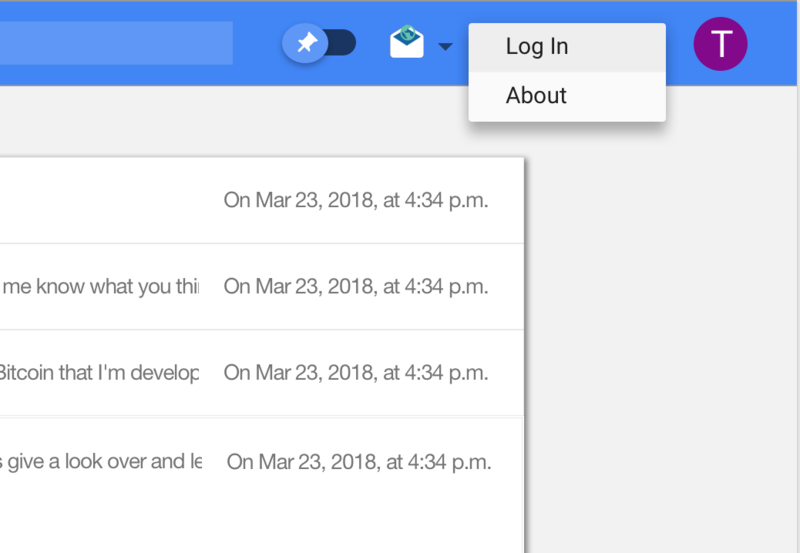 Login to your Gmail account and compose an email like normal. Click on the Mail 3.0 Icon to encrypt your email, then press "SEND." To Receive, Decrypt, and Read a Mail 3.0 email just check your email. All the work is done for you automatically! A unique passphrase is created for you. All you have to do is save it. 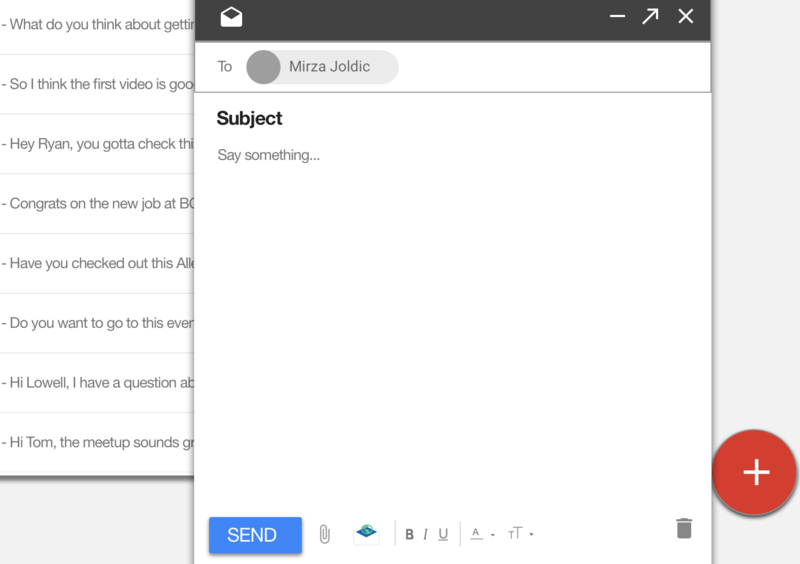 Open your Gmail while using the Mail 3.0 extension to Decrypt and Read emails in real time. Best of All - Mail 3.0 is free and private. Just download the extension and start sending secure and encrypted email. How do I know the Gmail I sent is secure? Mail 3.0 locally encrypts the Gmail you compose based on a key that is never stored on our servers. This means the email in its raw form before encryption never leaves your computer. It is then encrypted and sent. Who can Decrypt and Read My Email? Your email is encrypted in a way that only the designated recipient can decrypt and read your email. Mail 3.0 uniquely encrypts the text of your email so only the person you send it to (and you) can open and read it. What Specific Cryptography is Used? The cryptography used to secure your Gmail is the same technology used to secure Bitcoin transactions. Mail 3.0 uses theElliptic Curve Integrated Encryption Scheme (ECIES). ECIES is also known as the Elliptic Curve Augmented Encryption Scheme or simply the Elliptic Curve Encryption Scheme. You can read more details on the Wiki page, but ECIES is an standardized encryption protocol. In Mail 3.0, we leverage breakthroughs in blockchain technology for encryption and anonymity purposes. However, we do not use a distributed ledger to store the encrypted emails. In the future, we may explore the use of distributed ledger technology (DLT) to create a completely open and secure Email protocol. How do I Decrypt Emails? Mail 3.0 recognizes you as a recipient when someone uses it to send you a Gmail. The encryption is unique to the passphrase that is generated when you install the Mail 3.0 Chrome Extension. As long as you have not lost your passphrase, when you open your Encrypted Gmail, it will be automatically decrypted for you to read. It is just like losing your passphrase for your digital currency. You would lose the ability to decrypt messages received under that passphrase. You will be able to create a new passphrase, but the new phrase will only allow you to decrypt future emails. Download the Mail 3.0 Google Chrome Extension and Start Sending Secure Gmail.